The gold mining township of Bartica, considered the gateway to the interior, is set to become Guyana’s seventh town in less than one year from now. The date set by President David Granger is April 23, 2016. APNU’s Dr George Norton The government needs to come clean; it needs to explain how it decides on drug supply contracts that have largely favoured the New Guyana Pharmaceutical Corporation (New GPC), says Dr George Norton. “The situation needs to be brought out in the open,” Dr Norton, A Partnership for National Unity (APNU) Member of Parliament told Kaieteur News. 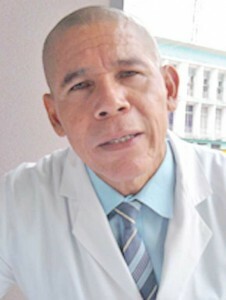 APNU is the country’s main opposition party, and Dr Norton is responsible for health issues from the opposition benches in the National Assembly.